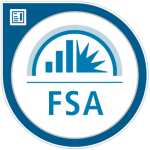 At the November 13th CFA Society of Boston Sustainable Investing seminar, we announced plans to hold events that would complement and expand on the seminar, and that the first event would take place in January. 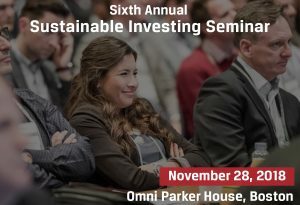 Details and registration for Resiliency and Climate Change Planning in Boston on January 17th, 2018, are now available on the Sustainable Investing initiative page of the Society’s web site. This event is particularly timely, in light of a recent Moody’s Investors Service report forecasting a growing economic impact of climate change on US state and local issuers. Moody’s states clearly that “this will be a growing negative credit factor for issuers without sufficient adaptation and mitigation strategies”. The City of Boston and the Commonwealth of Massachusetts are leaders – but are far from alone among US cities and states along the Atlantic, Pacific and Gulf coasts – in climate resiliency planning. Climate resiliency incorporates strategies for both mitigation (address the causes and reduce the impacts) and adaptation (adapt to a changed environment). Boston’s first climate action plan was issued in 2007 by then Mayor Tom Menino. It has since become a multi-stakeholder process that has been revised, updated and expanded multiple times. Moody’s highlighted the impact on state & city governments in its report, but the economic impact of climate resiliency planning is far broader. The economic and investment impact is evident in the membership of the Boston Green Ribbon Commission. This group of leaders convened to support the plan includes representatives from real estate, energy, utilities, transportation, insurance, construction, manufacturing, financial services, education, health care and business services. Please join us on January 17th, when our panel will define the foremost climate related sea-level rise, heat, and health problems faced by Boston, then present and discuss a broad range of solutions, with a focus on specific initiatives by the city, state, architectural community, and a climate-solutions mutual fund. Our panel conversation will offer investment professionals the necessary context and a starting point for assessing investment risks and opportunities in their own portfolios.